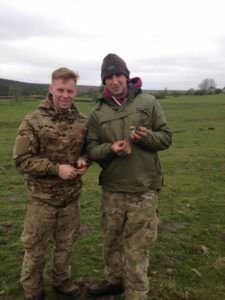 Yesterday there were 2 members of the British Trust for Ornithology (B.T.O.) 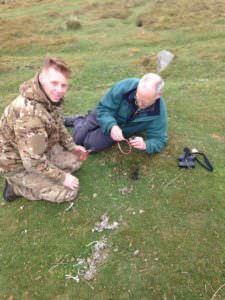 out on Bransdale moor ringing birds. Keepers Murray and Tom met up with them while they were out on the moors and offered to lend a hand. Prior to the keepers help the 2 B.T.O. 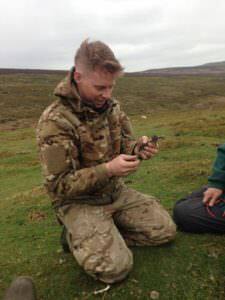 members had spent 3 hours and had ringed only one lapwing chick, after another 2 hours with the assistance of the keepers they’d managed 8 lapwing chicks and 4 curlews. 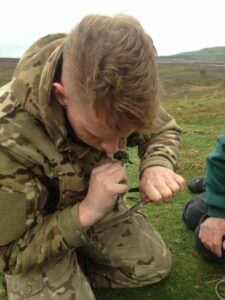 I think this highlights again that the keepers knowledge of both the moorland and the birds is invaluable. The ringing scheme run by the B.T.O. aims to monitor the survival rates of birds and collect information about their movements. 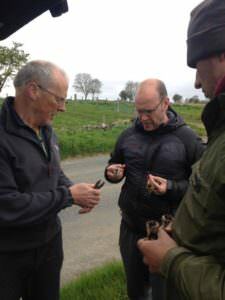 The information gained from this scheme provides vital support for conservation efforts as it helps to understand how the processes influence the population sizes over time and identifying these mechanisms is the first step in reversing declines. 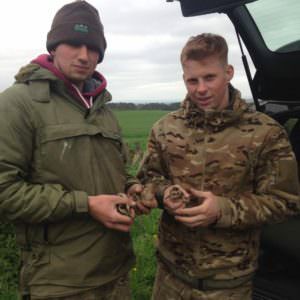 If you would like to help them in their work, keep an eye out for ringed birds and log them on the B.T.O. website.